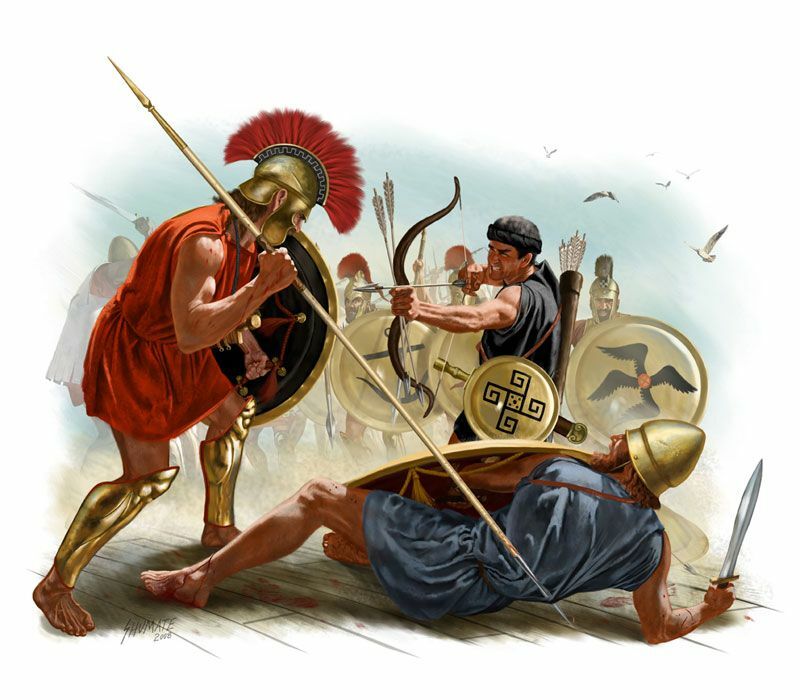 The ancient Greek Peloponnesian War was fought between 431 to 401 BC. The war was fought by the Athenian empire against the Peloponnesian League, which was being led by Sparta. This war, which has been divided into three phases by historians spelled doom left, right and center. 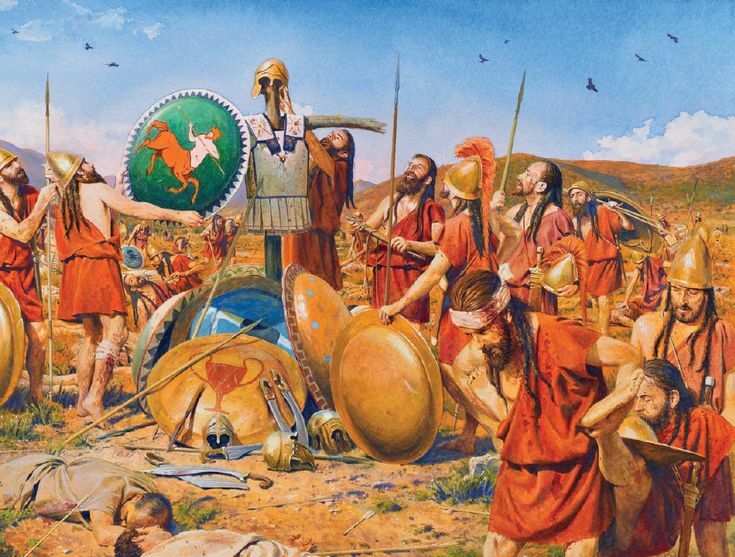 This was the war which completely reshaped Greek history and the Greek ancient world. It led to huge adversities and economic problems. The following is a list of Peloponnesian war facts, and the devastation it caused. The Athenian empire was extremely prosperous and successful. Around 150 to 173 states came together under the leadership of Athens to fight the Persian empire. Together they were called the Delian league because the official meeting of all these states was held on the island of Delos. Together the Delian league defeated the Persian forces, but now Athens had begun to dominate over the various city-states in order to further expand the Athenian empire. During this time, the empire was at the summit, the whole Greece was under it, apart from the area dominated by Sparta and its allies. The Athenian Empire was at its prime, but the downhill began with the commencement of the Peloponnesian States raging a war against them. The two powers were at war for 15 long years, which robbed the Athenian Empire of all its glories. The thirty-year peace treaty was signed in 445 BC. Corcyra which was a neutral power back then was defeated by Corinth, which happened to be a Spartan Ally. Later Corinth took help from the Sparta and started building a naval force. This meant that Corcyra joined hands with Athens as a part of a defensive alliance. The battle of Sybota saw many Athenians warships fighting against the Corinthian fleet. This lead to the breach of the 30-year peace treaty between the two powers, and thus the seed of the Peloponnesian War was sown. This war had its own adverse implications, which, needless to mention led to thousands of deaths. Athens, as mentioned above, had become a superpower and thus dominated all states under it while intimidating the adversary states. In 432 BC, the Peloponnesian League and its members called for a meeting because they were being increasingly troubled by the Athenian power. In a heated debate between the two parties, the Corinthians warned Sparta, that if they kept mum about the issue, they would lose an ally. The Sparta on being pressurized and in a struggle for power voted against Athens and this was the last straw to the declaration of war from both sides. The Archidamian War was named after the famous Spartan King known as Archidamus II. This war lasted for 10 years, from 431 to 421 BC. 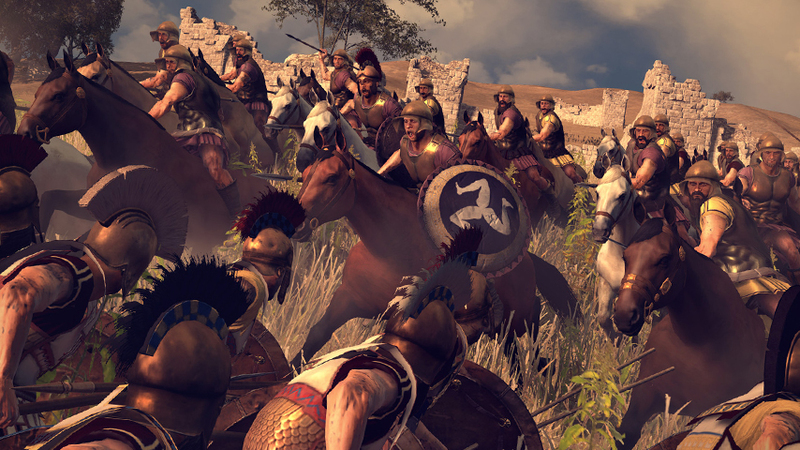 The Athenians forces maintained supremacy in this war because of their reliable fleet. However, the war went indecisive because the Spartans were nearly unbeatable on land. 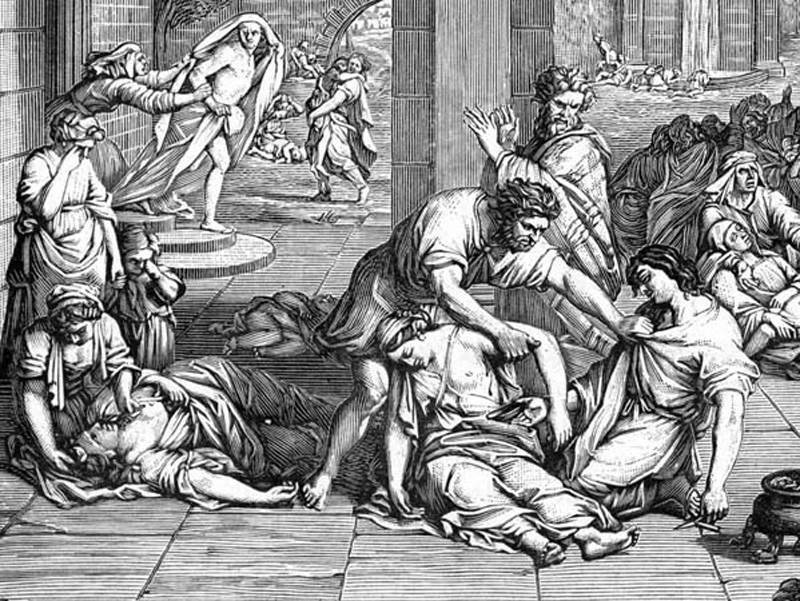 A terrible plague which could be typhoid fever broke out during this time and claimed the lives of one-third of the Athenian citizens which was a major setback. The battle of Mantinea was fought in 418. In this battle, Athens and Argos were defeated by the Spartans and their allies. Argos, which happened to be one of the more powerful states managed to create a coalition of democratic states in the Peloponnese area. They captured the city of Tegea near Sparta, and this time they were supported by the Athenian forces. This led to the commencement of this war in 418. The battle of Mantinea was the most gruesome war, which claimed the lives of around 1400 men. This war was a major boost to the Spartans because they had convincingly defeated the adversary. 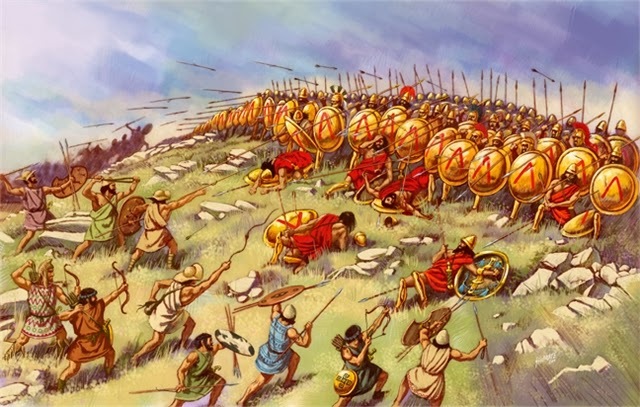 One of the most tragic Peloponnesian war facts is that, the Athenians suffered a lot after the battle of Mantinea came to an end. With the death of so many men, women could not support themselves nor their children. The increasing number of orphans and widows grew to an alarming level. The economic condition suffered, as many families succumbed to death because they did not have money to support themselves. A lot of women took to stitching and handicraft, to earn their livelihood and compensate for the economic state of their families. Athens hugely relied on the importation of grain, because the farms were unable to produce sufficient amount of dietary staples in order to feed the population. Farm buildings and farming equipment were heavily destroyed, which lead to damage that was beyond repair. Olive trees had been cut down by the Spartan forces, which led to a serious dearth of olive oil. The Peloponnesian War had struck Athens like a calamity. Before the commencement of the war, almost all Athenian families had at least one slave to perform a variety of chores. Post-war, a lot of these slaves had an opportunity to run away and so they did. This trend really hurt the silver mines and there was a serious dearth of labor to work. Very few families could afford slaves, however, in this period of deep destitute, there were a few families who still managed to afford a slave or more. When the war began, the Athenian forces kept aside some money and around 100 ships to use at the time of desperation as a last resort. In 410 BC, during the battle of Cyzcius, Athens took advantage of this fleet and the money they had reserved. This fleet completely destroyed the Spartan forces, thus re-establishing power in the hands of Athens. This allowed Athens and related powers to improve their financial condition. The third phase of the war was the Decelean War, where the Spartans emerged victorious without a shadow of doubt. General Lysander, led the Spartan forces towards victory by gathering support from Persia. The battle of Aegospotami, was the last battle fought in the Peloponnesian war, which ensured that the Athenian navy was annihilated. It was in 404 BC, that Athens surrendered; soon after all its allies had to do the same. Athens was in a miserable state during this time, loss of life, casualty, theft and all anti-social activities became really common. As per historians who have gone through Peloponnesian war facts, it was Thebes, which greatly benefited from the war. The benefits reaped by the Spartans were temporary and short lived. Even though the Spartans emerged victoriously, they too had their own share of problems post-war. Not only did a lot of men die, but they underwent minor financial and food crisis, which proves that there is no real victory in war. Though Persia was not an active participant in the war, the fall of the Athenian power, meant that Persia got back all its state which it lost to Athens. It regained its Greek places in Anatolia and Minor Asia. 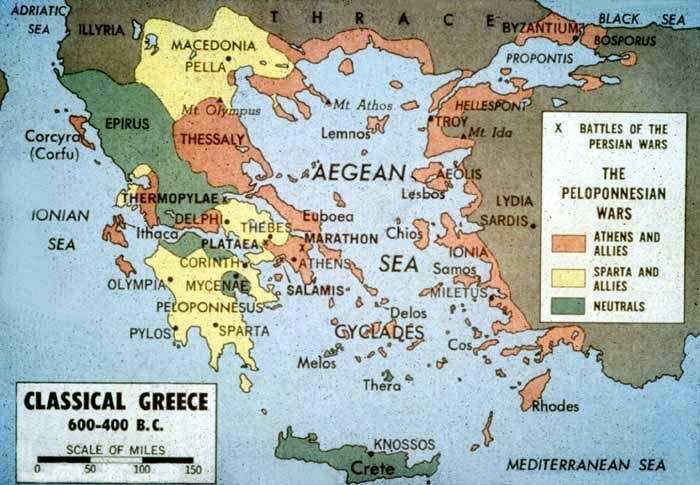 Persia was also able to acquire a substantial amount of diplomatic influence in Greek mainland. As an aftermath of the war, Athens had lost all its powers. It was ripped off its fleet and army, not to mention its overseas possession. The food and financial crisis along with the outbreaks of many plagues left Athens in a dire state. Taking advantage of their vulnerable position Thebes and Corinth wanted to burn down the city, but the Spartans voted against it. The Spartans believed that Athens had contributed a lot to the Greek culture and fought against Persian to save Greece. One of the saddest Peloponnesian War facts is that Athens, which emerged as a superpower before the war had lost it all. The place was devastated and humiliated. The Peloponnesian War summary is that it was Athens who had to pay the biggest price. After the war, Sparta became the dominant force and Athens could never recover from the losses and regain its prewar status. There was a struggle for power in Athens post-war. It was being ruled by 30 tyrants at the same time and democracy had been suspended. Later the oligarchs were overthrown by Thrasybulus in 403 and democracy was restored again. Going by the history of the Peloponnesian War, both parties had to pay a huge price for it. 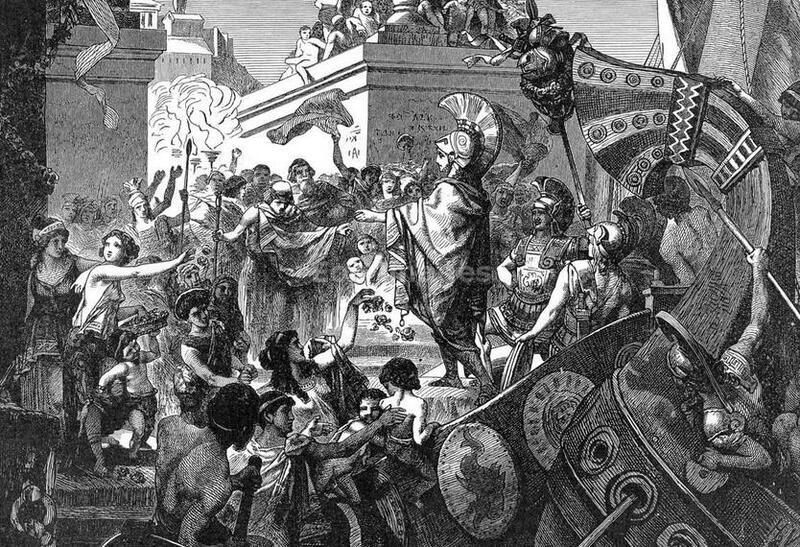 This war led to further conflicts between Thebes, Sparta, and Athens, which lasted for a long time. It was a very difficult era in Greece post the Peloponnesian War; it led to extended struggle for power, in spite of the bloodshed, humiliation and financial crisis which came along with it.